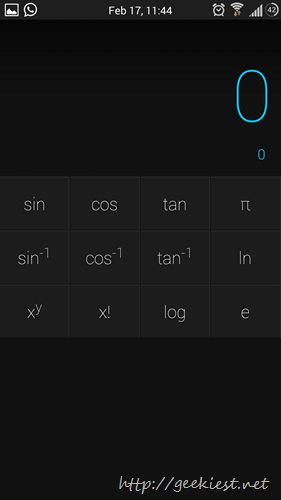 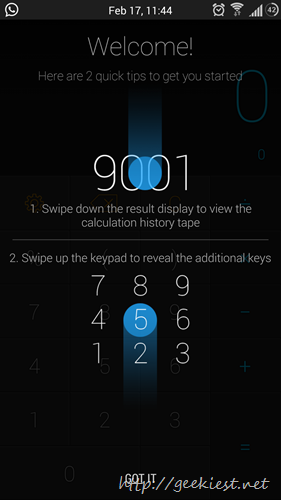 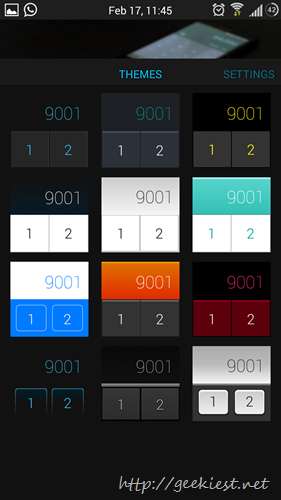 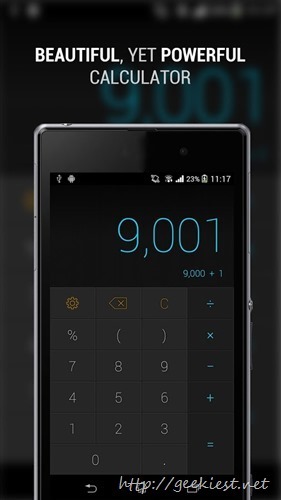 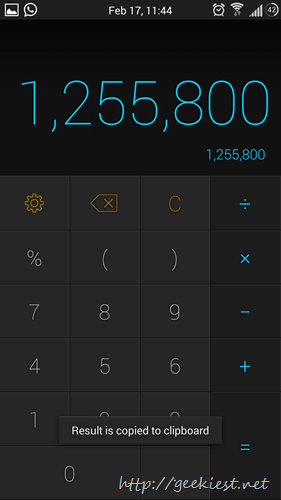 Calcu is a Calculator Application for the Android devices with a beautiful interface and customization options. 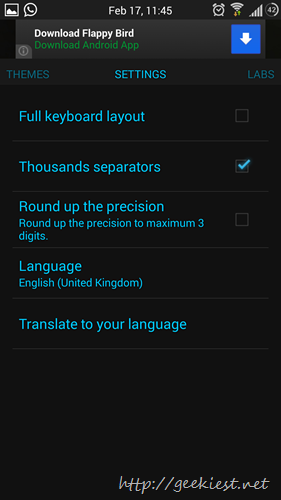 Keyboard Layout is customizable – this help you to set the keyboard according to your needs. 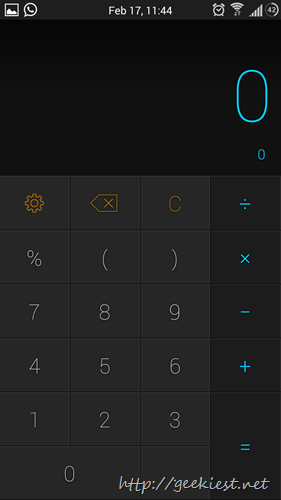 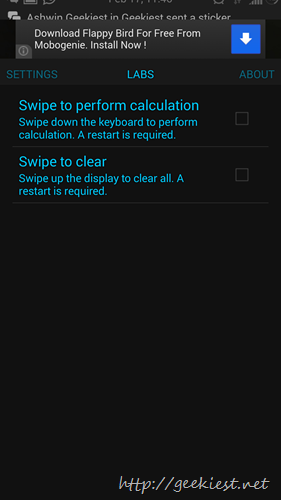 Two keyboard Layouts – swiping the keypad will show the advanced operators.